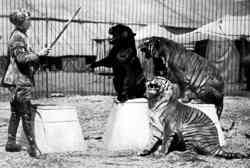 Not being satisfied with her role as a nurse, Stark moved on and eventually began working with carnivals and circuses. 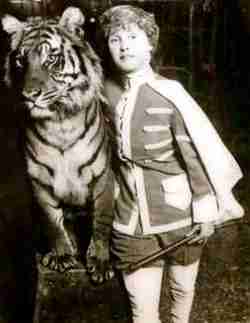 In 1911 while vacationing in California, by chance she met Al Sands the manager of the Al G. Barnes Circus. Sands was taken by the petite, blonde haired beauty. Sands offered her a job with the show which she accepted. Mabel first began to perform with one of the shows "high school horses" (dressage act). 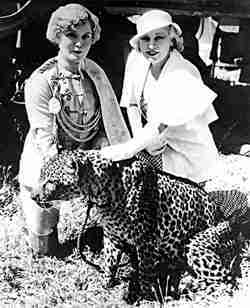 She became acquainted with the circus' wild animal trainer Louis Roth (who she would latter marry). 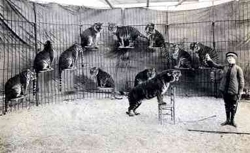 She was fascinated with the big cats and soon began training under Roth. In 1916 she began presenting the show tiger act in the center ring. 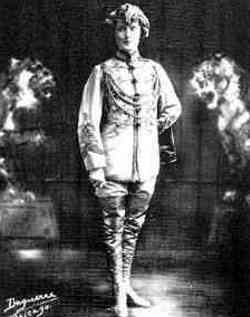 1922-1924 Stark performed with the Ringling Brothers Barnum and Bailey Circus, in 1925-28 she performed in Europe. She returned from Europe to join the John Robinson Circus. 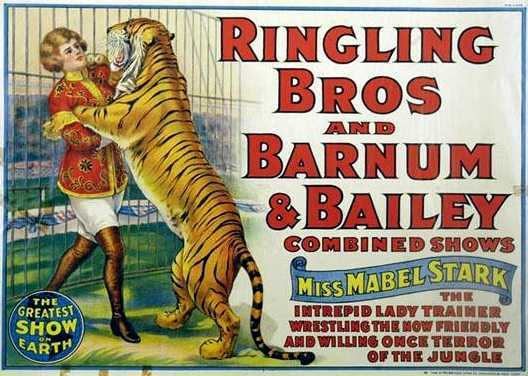 In 1929 Mabel was with the Sells-Floto Circus and in 1930 returned to Al G. Barnes after it was sold to Ringling, she stayed with Barnes circus until it closed in 1935. 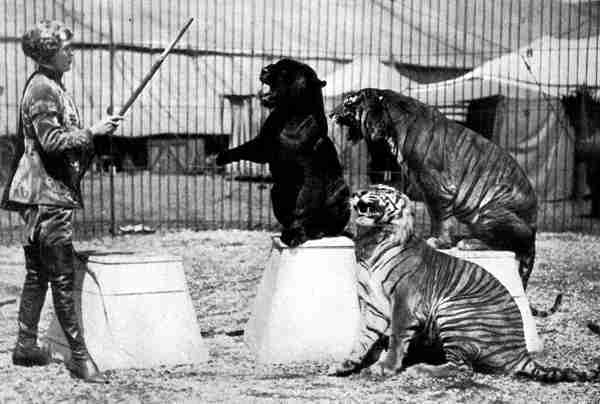 Stark was mauled many times during her career as an animal trainer (one reports suggest as many as 18 times), 1914, in Detroit, Michigan, 1915 in Venice, California, 1928 in Bangor, Maine then in 1916, she was scheduled to perform at the National Orange Show in San Bernardino, California, while rehearsing for the performance Mabel was attacked by a lion. The lion grabbed Stark by the arm and repeatedly roll over while dragging her along. 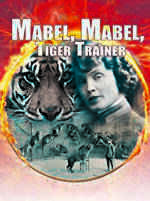 Mabel was rescued by her husband Louis Roth (also an animal trainer), who carried her unconscious body from the arena. She suffered severe puncture wounds as well as a broken arm. Mabel Stark made her winter home in Thousand Oaks, California, in 1957 she became the city's first honorary mayor. In the winter months she would perform at the Famed zoo and amusement park in Thousand Oaks. During the 1050s she gave up the road and performed at the park year round and became it's featured attraction. Early in 1968 the park was sold to a new owner who terminated Stark. 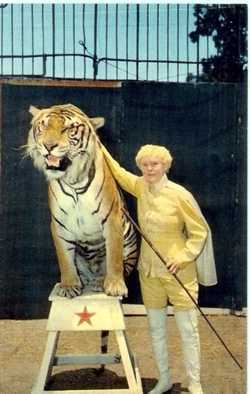 Soon after Starks dismissal one of her favorite tigers escaped from the Jungleland compound and was shot and killed. Mabel was very distraught over the loss of the animal, thinking if she had been there she could have returned it to it's cage. 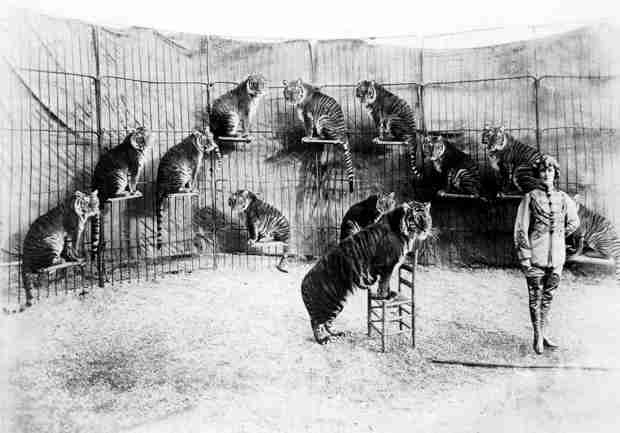 It is believed that having been fired from the zoo, the lose of the tiger and the idea of no longer performing was too much for Stark. 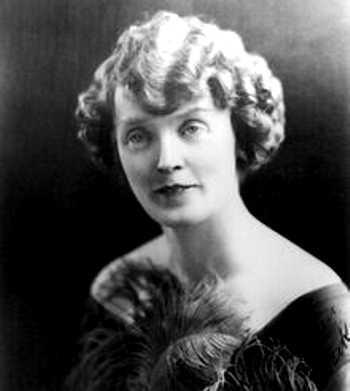 On April 20, 1968 at age 79, Mabel Stark took her own life.